Keep your garage space tidy with ProGarage Cabinets and heavy duty wire shelving from ClosetMaid. (Family Features) A recent study found that 50 percent of homeowners claim their garage is the most disorganized place in the home. In addition, The Department of Energy cites 25 percent of people with two-car garages have too much clutter to leave room for cars, while 32 percent only have room for one vehicle. Isn’t it time to do something about the mess? This year, focus your efforts on maximizing storage space in the garage. 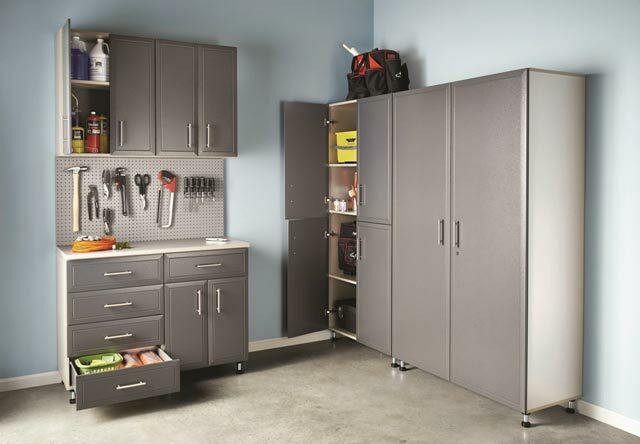 Photo caption: Keep your garage space tidy with ProGarage Cabinets and heavy duty wire shelving from ClosetMaid.